Our New York office of Tribeca Advanced Dentistry in New York provides a comprehensive set of dental services from general dentistry to most innovative dental procedures such All-on-4. Please read the description below of the range of all services available to our New York patients. Tribeca Advanced Dentistry provides a full set of general dentistry services. 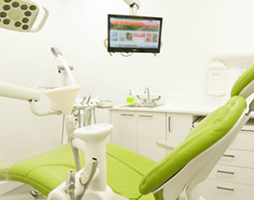 Whether you need fillings or just want to have a regular dental check-up and dental hygiene teeth cleaning. Our team of prosthodontist Dr. Olga Malkin and periodontist Dr. Sanda Moldovan has been collaborating for several years treating complex dental cases requiring single and multiple implants. Both doctors are one of the several experts in New York City who perform All-on-4 procedure which allows same day replacement of the entire upper and/or lower set of teeth. This innovative procedure is often used for patients with significant bone loss in jaw area or tooth loss or decay. Whether you seek replacing dentures or want to replace your lost, decayed, or missing teeth, talk to our Tribeca dental team today! Our New York office specializes in “smile makeover” which is a common term for a set of advanced dental procedures to rejuvenate your smile which may include a full range of dentistry from placing multiple implants and crowns, gum surgery to teeth whitening and providing Invisalign. Our endodontist Dr. Uju Mbamalu is a root canal specialist. Please read her page to learn more her background and qualifications and why Tribeca Advanced Dentistry is happy to have her as a team member. Dr. Malkin has been trained to be a specialist in placing Dental Crowns and Inlays and Onlays also sometimes known as partial dental crowns. Placing dental crowns is one of the core services provided by prosthodontists. As an alternative to dental crowns, you may consider getting porcelain veneers. When you want to improve an appearance of your cracked, chipped, or stained teeth, which are otherwise structurally sound, dental veneers consisting of small ceramic shells fitting over your teeth may be the best answer. Dr. Olga Malkin often uses dental bridges as a restoration option when two crowns are fits comfortably over existing teeth with a “false” tooth in between. This technique is often used when a patient is not a right candidate for dental implants. To improve patient experience during a lengthy dental procedure or whenever a patient feels anxious, which may last many hours, Tribeca Advanced Dentistry provides several options for dental sedation. When our Tribeca’s prosthodontist and periodontist perform dental surgeries such all-on-4, we can administer either simple oral sedation or more complex IV sedation depending on patient needs. Our Tribeca periodontist, Dr. Sanda Moldovan, offers a full range of gum procedures. Whether you don’t like your “gummy” smile or long exposed teeth or have an indentation in your gums due to lost teeth, talk to Tribeca Advanced Dentistry today to find the best periodontal solution. Both our Tribeca prosthodontist and periodontist use latest diode dental lasers for soft tissue surgery, pain therapy, and even teeth whitening. Tribeca Advanced Dentistry offers Invisalign, an easy and least intrusive solution for both children and adults. No one may ever know that you are wearing Invisalign! Tribeca recently purchased a state-of-the-art 3D dental scanner for our New York office. This allows us modern treatment planning for dental implant patients or those who TMJ or impaction. Our New York dental team uses modern Philips Zoom White Speed appliance to provide Zoom Whitening. It utilizes LED light technology to help remove unwanted yellow color or staining from your teeth.